As your educational institute develops its advanced education offerings, what areas of need are emerging most from church leaders? Powell: Several key leadership concepts come to mind. The first is emotional intelligence. It stresses the importance of self-awareness, social awareness, empathy — “soft” leadership skills pastors really need. Pastoral ministry today is extremely complex compared to when I started out as a pastor 34 years ago. You wear a lot more hats, now. Second, pastors are asking for organizational change training. The Message doesn’t change, but the methods do, as do our churches and culture. Pastors need practical training on how to lead change without destroying their churches or their lives. Third, in many churches, training on conflict management and conflict resolution is crucial. We’re seeing a lot of demand for that. [Our training on] emotional intelligence … stresses the importance of self-awareness, social awareness, empathy — “soft” leadership skills pastors really need. Pastoral ministry today is extremely complex compared to when I started out as a pastor 34 years ago. You wear a lot more hats, now. servant leadership, steward leadership, and transformational leadership. Finally, pastors need to be trained in multicultural leadership. Kalna: A few of the current issues facing the church have to do with being able to keep the ministry staff engaged, enriched and able to serve for long tenures. We’ve observed an uptick in the number of pastors that leave ministry early in their journey. Many feel compelled to leave the church due to financial pressures, a lack of understanding of what their role may be, an inability to connect with their peers or congregation, or to pursue other paths and be in a bi-vocational role. 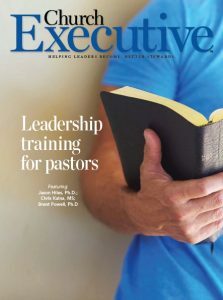 What training and educational offerings do you offer to help church leaders address these areas of need? Hiles: The College of Theology and Grand Canyon Theological Seminary exists to prepare future ministry leaders and to enrich current leader’s knowledge to impact the Kingdom. We’ve done our best to craft programs that best incorporate ways to overcome some of the challenges with being in ministry. Our advanced degrees through the seminary require both a mentor, as well as to serve in supervised ministry with a church. This will give students a very accurate picture of a day in the life of a ministry leader and help them make sure this is the proper direction for them. The first is that our advanced degrees through the seminary require both a mentor, as well as to serve in supervised ministry with a church. This will give students a very accurate picture of a day in the life of a ministry leader and help them make sure this is the proper direction for them. The next is that we’ve made advanced training accessible and convenient, where leaders don’t need to leave their ministry to pursue education. Traditionally, one would have to move to a seminary and immerse themselves in that education and life for several years to become prepared, and then move to where the opportunity has presented itself. With our distance learning model, a student can be a full-time student with Grand Canyon University without having to leave their own home, family or ministry. The last is that we’ve made it easier and more cost-effective to pursue an education. Our Bachelors, Graduate Certificates, Master of Arts and M.Div. have been intentionally priced so that church leaders can pursue the education without having accumulated massive amounts of debt. This will lessen the burden once they’re in the church, which we hope will lessen the amount of early-career attrition. Powell: The program that most effectively addresses emerging leadership challenges is our new PhD in Leadership. (We also have an M.A. in Leadership.) We offer three concentrations: organizational management; ministry administration; and educational administration. We have a full course in contemporary issues in leadership that focuses on emotional intelligence. We take the students right through the full gamut — why it’s important and how it applies to your particular context or ministry environment. 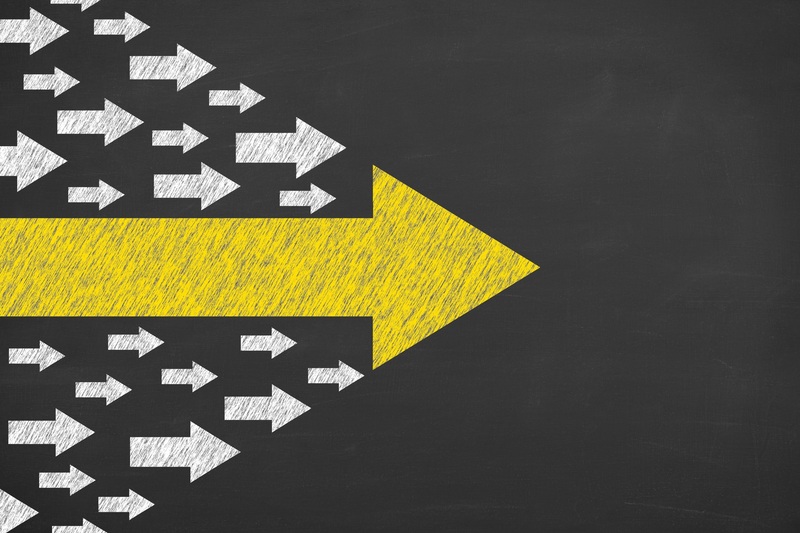 We have a course in organizational change that identifies how to package the need for change. How you create “the burning platform” so the church sees the need for change. Then, how to address resistance to change and promote buy-in at all levels. In our conflict resolution course, we address how to approach varied conflict situations. For instance, you’ll have a particular side in the conflict; someone else will have their side; then, there’s a third side: the consultant’s side. You’ve got to be able to deal with conflict from that third perspective. With regards to authentic leadership, we have a full course on ethical leadership. It undergirds who we are as a Christian college. To help develop multicultural leadership, we offer a 21st-century leadership course that trains leaders to work with other cultures. In our Western world, we tend to be individualist; in the Eastern world, it’s a much more collectivist context. Leaders must learn the difference, especially in a growing church. Are these educational offerings workable for busy full-time church leaders? accomplished in three years; it’s a 60-hour course. The M.A. in leadership is shorter and has fewer courses. The only on-campus requirement is a residency week. For that, we have students who come from all over the world — most recently, Asia, Africa, Australia and Canada. Aside from the residency, the entire program is online. They’re very interactive programs. Students participate in discussion forums, and the teacher has online office hours daily and weekly. Kalna: While every student is unique in their learning style, we do see a lot of success in students who are also full-time employees, as well as working in their churches. Our learning model is predicated on accelerated classes, one class at a time. This allows students the ability to truly understand material and concepts before moving on to the next subject in their studies. This model allows students to be full-time learners, earn 24 college credits per year, and still be able to have a good work / life balance. Students have reported spending anywhere from 15 to 20 hours per week for their education, all of which is at their own pace and not on any predetermined schedule from the University. This asynchronous learning environment allows students to juggle everything in their lives, while still incorporating education into their routines. 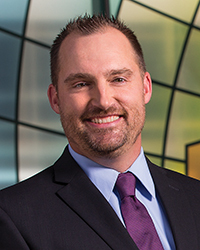 Chris Kalna joined Grand Canyon University in 2008. 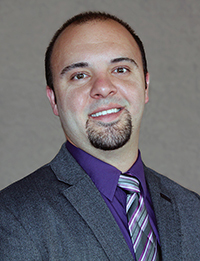 He is a three-time GCU graduate, with a bachelors, masters and graduate certificate. Since joining GCU, Kalna has been involved in leadership of the admissions, academic and financial advising teams, supporting the faith-based student population. Jason Hiles joined GCU in 2013. He is a graduate of the Milwaukee Institute of Art and Design, where he received a BFA in sculpture in 1998. He also earned an MDiv from Southwestern Baptist Theological Seminary in 2001 and a PhD in systematic theology from Southeastern Baptist Theological Seminary in 2008. Upon graduation from Southeastern, Dr. Hiles was appointed assistant professor at Louisiana College and later named associate dean of the Caskey School of Divinity. He is a member of the Evangelical Theological and Evangelical Philosophical Societies. 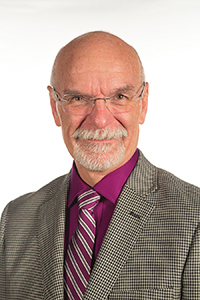 Dr. Brent Powell attended The University of Western Ontario, where he graduated with a Bachelor of Arts in Economics and later a Certificate of Honors Standing in English. He earned a Master of Divinity from London Baptist Seminary and a Master of Information and Library Science from The University of Western Ontario. He graduated with a Doctor of Ministry degree from Liberty University and a Doctor of Philosophy in Leadership from Tennessee Temple University. Dr. Powell has served in full-time pastoral ministry for more than 30 years.